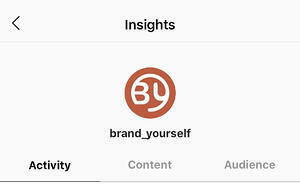 Similar to Facebook, Instagram's native analytics tool is quite robust. They make it easy to see when your audience is online, what they're engaging with, and what steps they're taking after seeing your posts - all of which is extremely helpful information when you're planning a marketing campaign! 1. Make sure your page is a business account - Insights doesn't work for personal profiles! When you open your Insights, you will see three main navigation options - Activity, Content and Audience. But where should you actually spend your time? Where is the most useful information? 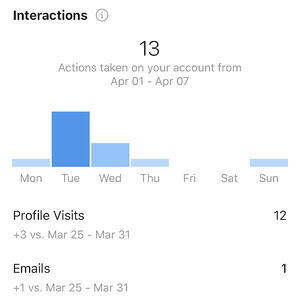 • Interactions - this is the total amount of actions people took with your account in the last week, be that profile visits or clicks to email your business. 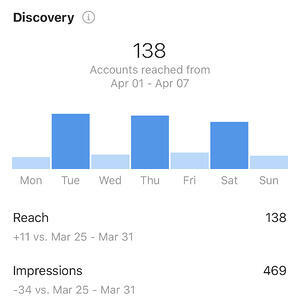 • Discovery - this is the amount of people who saw your content and where they found it, reach is the amount of unique views and impressions is the total number of times all of your posts where seen. • Feed posts - this will show you the total impressions for your most recent posts. 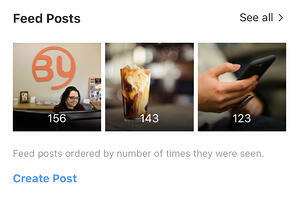 You can also create a post, or click on "See All" for a more in-depth look at all of your posts. If you're trying to build out your strategy, a great place to start would be to look at your total engagement on all posts for the last year and see what your best performers were! 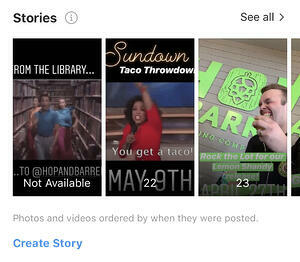 • Stories - this will show you your active stories and the total number of impressions. You can create a story from here, or also "See All" of your stories for the past 14 days. If you would like to see a story that is outside of that timeframe, you still can! Just head back to your main business page and click on the archive button. All of your past stories will live here. 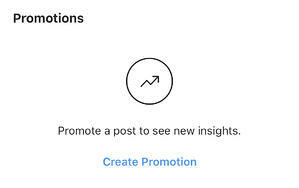 • Promotions - if you have any active paid promotions, they will appear here (unless you've created them through Facebook's Ad Manager). You can also create a promotion. 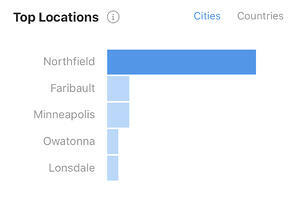 • Top locations - this is the places where your followers are living. You can sort by city or country. 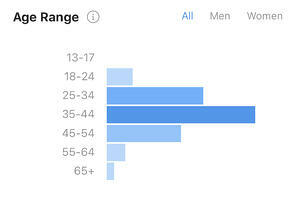 • Age range - this is the age distribution of your followers. You can sort this by gender as well! 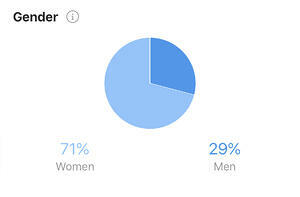 • Gender - this is the gender distribution of your followers. • Followers - the rest of that information is great, but this is the most important information! 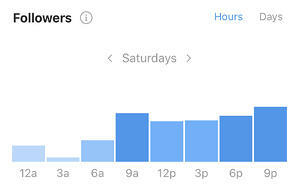 Here you will see the average times that your followers are on Instagram - sorted by time of day or day of the week. By using this information, you can find the best time to schedule your posts in order to achieve the most engagement! While Instagram may not provide as much information as Facebook, there is still more than enough information to drive a well informed and profitable strategy. But as always, if all of these numbers and information stresses you out, give the data geeks at Brand Yourself a call!